The brand new masterpiece from Ville Kiviniemi. Six years in the making. 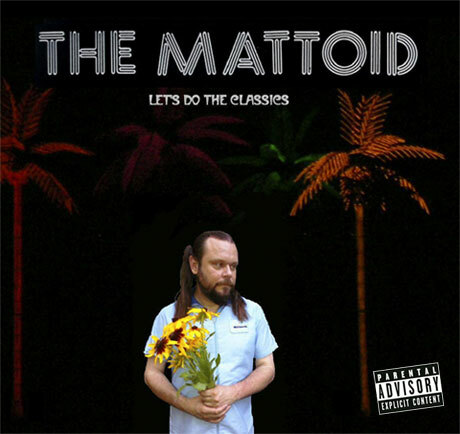 Fifty minutes of classic Mattoid. ⇒ Order your copy today! Thee Swan Recording Company is an independent music label and production company based in Nashville, Tennessee. Musician and producer Matt Swanson created the company in 1999 to produce, record, and/or publish a variety of local artists including The Cherry Blossoms, The Mattoid (Ville Kiviniemi), and the legendary, late-night shaman Dave Cloud. Thee Swan Recording Company's music label released Cloud's first two albums, attracting international attention and leading to his signing a multi-year record deal with Fire Records (UK) in 2006. © 2006-2016 Thee Swan Recording Company. All Rights Reserved.